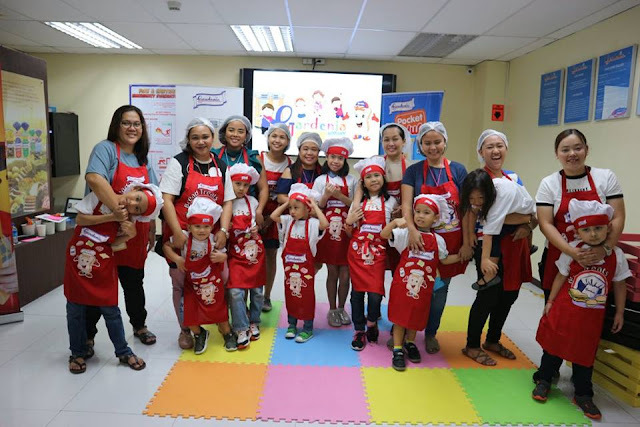 Gardenia opened its first ever Kiddie Workshop in 2017 to hundreds of kids who enjoyed an ultimate bread journey workshop experience. 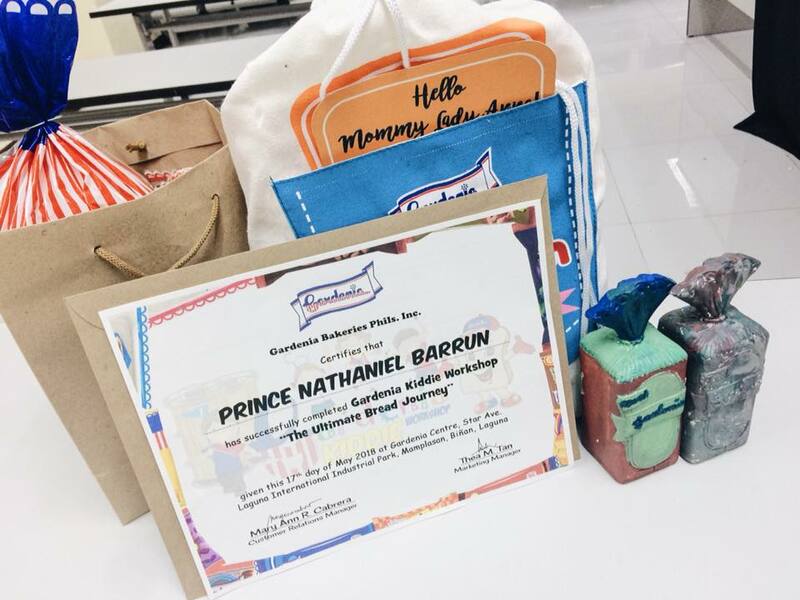 Luckily, me and my son experienced it last May 17 with the help of Gardenia PH and Mommy Bloggers Philippines. I woke up around 4 am and we traveled to our pick up point at 6:30 am. 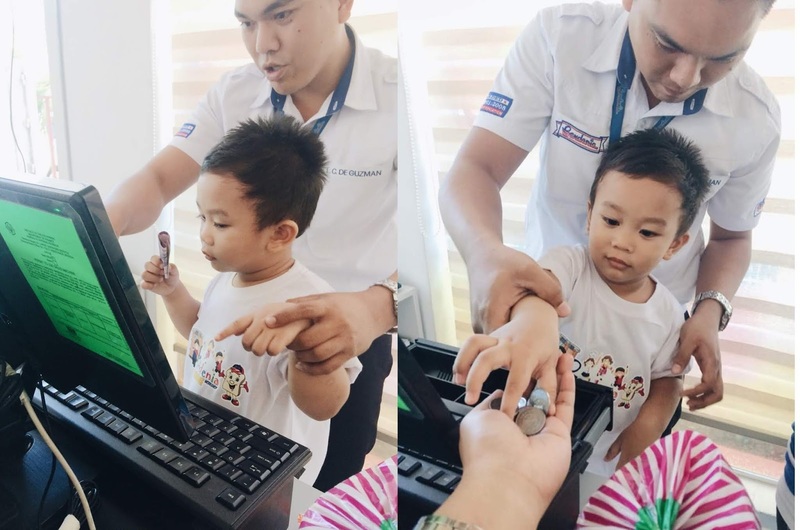 Mabuti na lang hindi mahirap gisingin si bagets. We were picked up and traveled around 30 minutes to Laguna International Industrial Park where Gardenia plant located. Ang lapit lang pala from Manila. We were warmly greeted by the staff and they provided Gardenia shirts for the kids. Akala ko pure plantation tour lang gagawin namen. 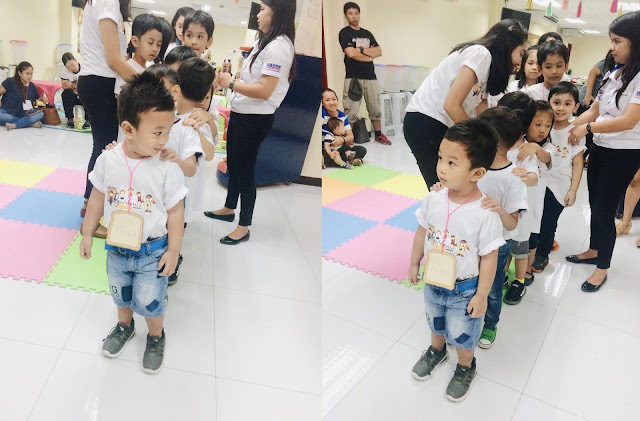 Yung typical na field trip ng mga bata, pero ang dami palang activities na super naenjoy ni Prince which I will share to you my lovely readers. 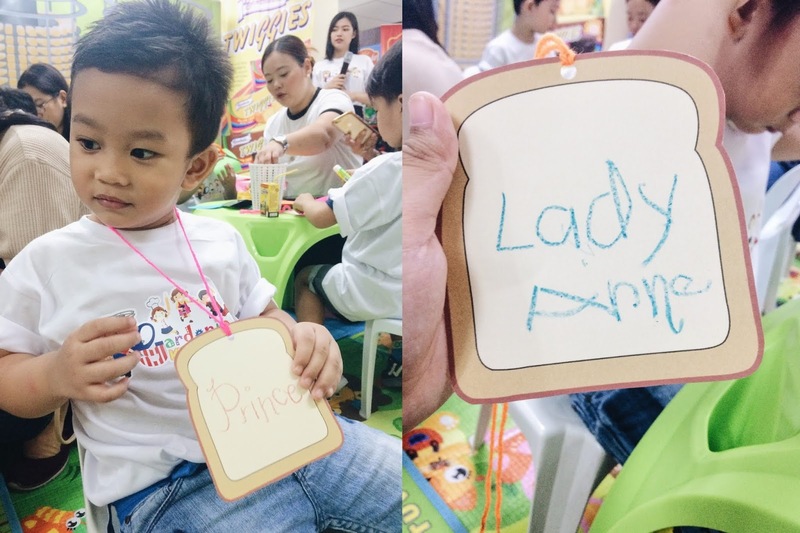 Pag-akyat namen, we were gathered in the activity area and they gave kids an early snack to re-charge. Ang bongga ng first activity. 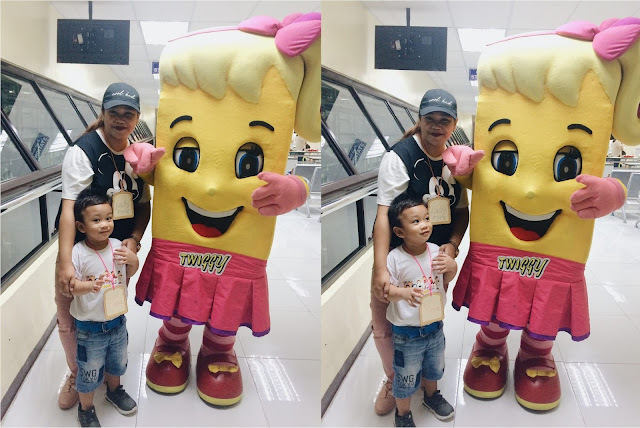 May pa mascot agad! 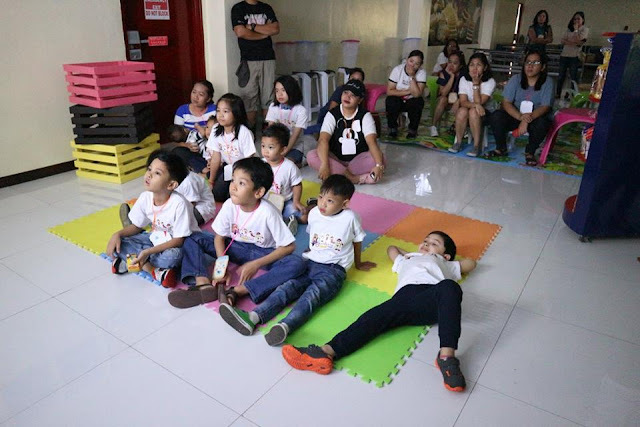 I think para mahype yung mga bata at mas ma-engage sila sa mga susunod pang activities. The Gardenia Pocket Sandwich is made up of two slices of Gardenia's famous soft white bread, sandwiching a flavored spread or filling inside. It's retail price is ₱10.00. 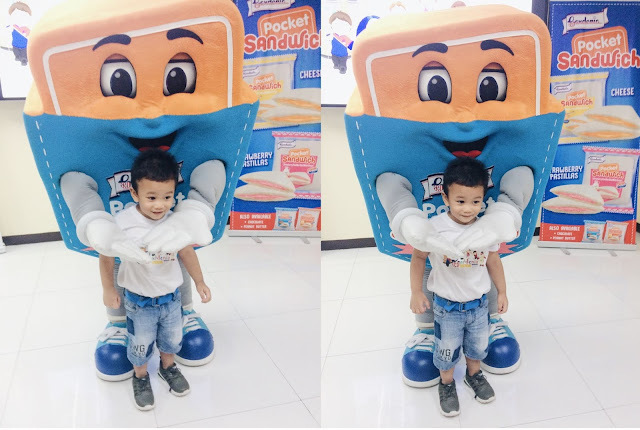 Perfect na pang baon ng mga bata. 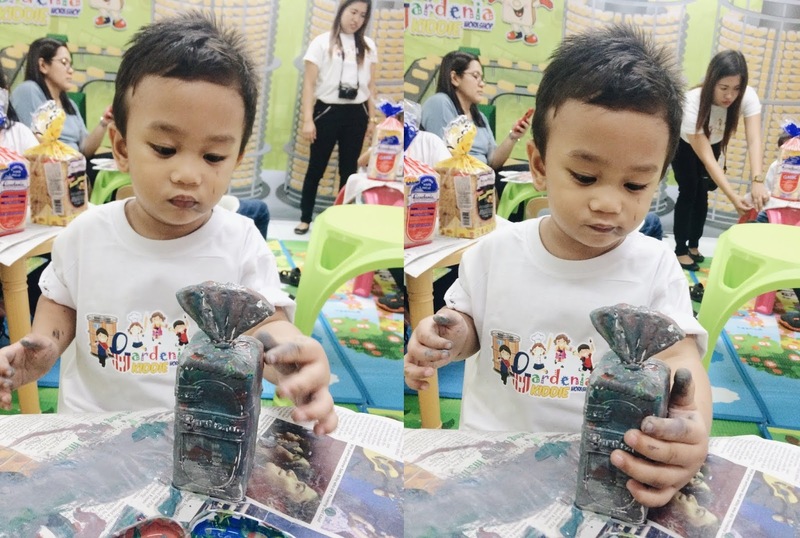 In this activity, provided na ang materials. 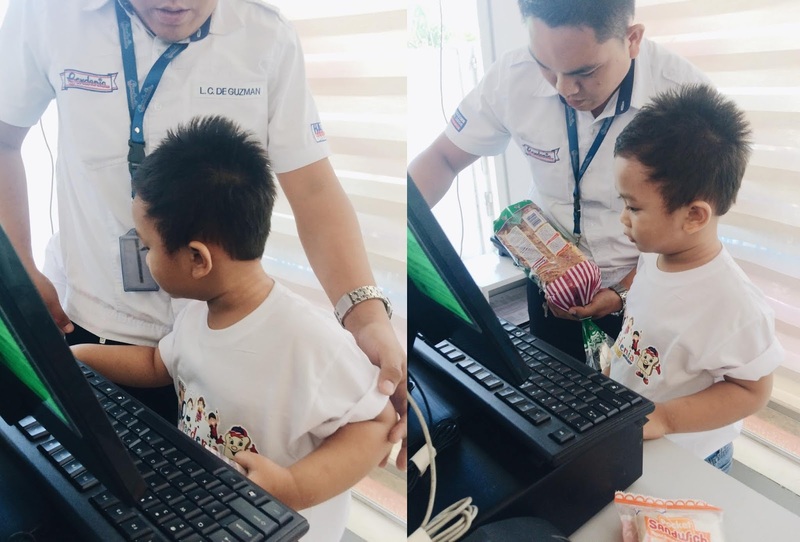 Si mommy ang gagawa ng name tag ni bagets and vice versa. They allow us to do any design we want. We can cut colored papers or draw. Sinimplehan lang namen ni Prince kasi wala din akong maisip na design. While doing our nametags, we introduced ourselves and shared our hobbies and favorite color. 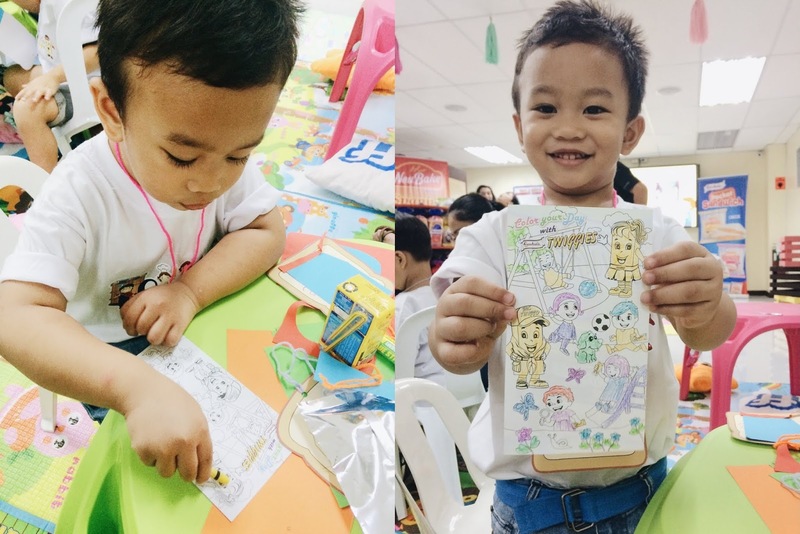 Kids were given a picture and colored it on their own way. After that, they were asked to look for the hidden twiggies near the area. Grabe ang pagkacompetitive ng mga bagets, unahan at paramihan talaga sila ng twiggies na nahanap. At may pamascot ulit si Gardenia. Diba, parang birthday party lang. Twiggies are soft sponge filled with chocolate, vanilla or strawberry cream that kids will really love it. Retail price is ₱5.00 (₱40.00 for 8 pieces). All materials are provided, participation lang ni bagets ang kailangan. Here, kids were taught how to make a dough using 3 ingredients. Flour, pinch of salt and water. A simple activity you can do at home. You may add more ingredients like sugar, wheat powder or yeast. After putting all the ingredients, press, push and knead until you get the texture that you want. Medyo naconcious si bagets sa part na yun kaya ako na ang gumawa. Because our hands are full of sticky flour, Gardenia staffs also taught us what is the proper way of washing our hands. 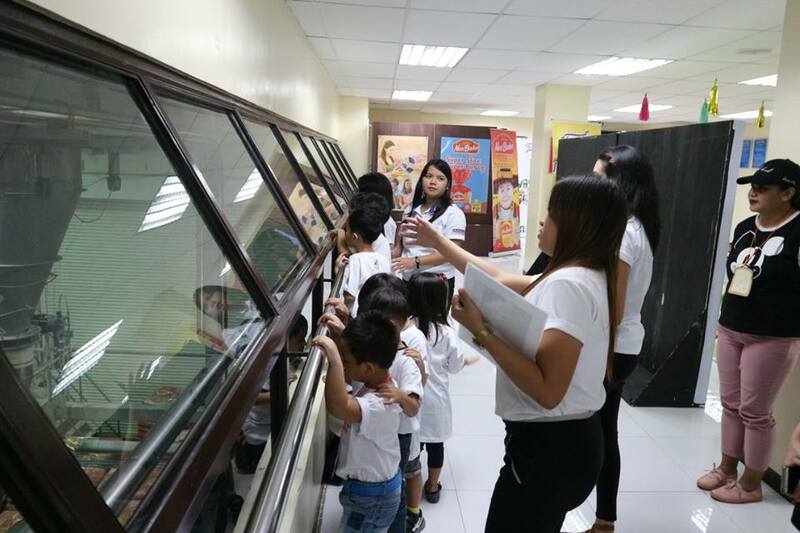 Before the tour starts, kids watched a short video on how Gardenia baked their breads. Fun fact: Gardenia is the first in the country to use the unique resealable and reusable plastic clip called G-lock which seals in the bread´s freshness. It serves as a 7-day color guide to freshness referring to the day the bread was produced—tan is the G-lock color for Monday, orange for Tuesday, yellow for Wednesday, blue for Thursday, green for Friday, red for Saturday and white for Sunday. We are not allowed to take pictures during the tour. Kids are first to take a tour so they can be the tour guide for their mommies. My son is the youngest of them all and though he 's very shy to do the tour, I'm still proud of him because little by little he's learning to follow instructions. Fun fact: Gardenia produce 150,000 loaves per day and the bread production is untouched by human. After the tour we had our lunch courtesy of Gardenia and they let kids to watch a movie. Once we finished our meals, mommies and kids went to Bread Store to learn how breads are being sold and act like a cashier. 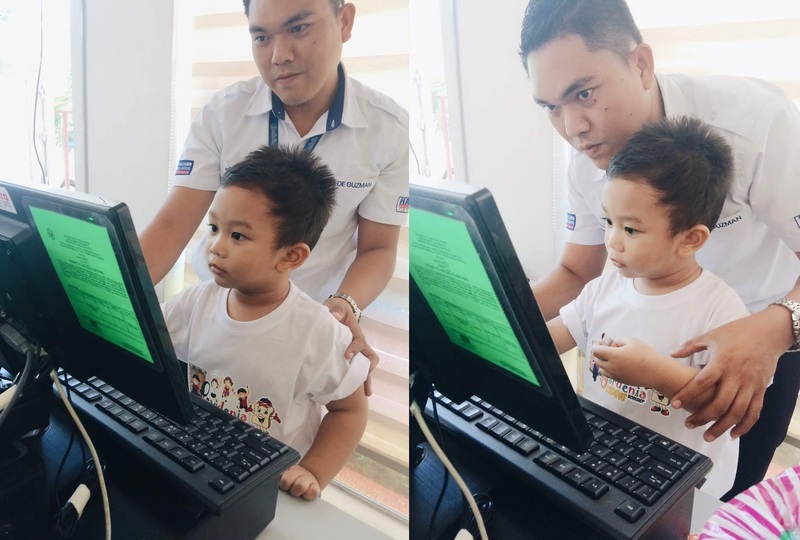 Before they do the role play, they learned about POS (Point of Sales) and the function of each machine. Kids were taught about Gardenia products as well and introduced it to their mommies. My favorite part is when Prince acted like a store clerk. I thought he won't be able to do it but I was amazed he did it. After the role play, kids came back at the activity area with little dummy Gardenia bread and paint it with different colors. My son liked it because we do this at home. So happy they let mommies do it as well. I enjoyed this activity as much as I expected. This is my son's masterpiece. And this is mine. :) Please don't judge. 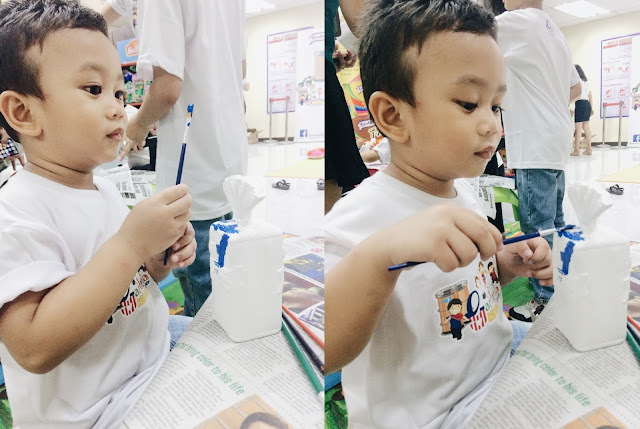 After the painting activity, older kids were assigned to do another role play where they act as a vegetable, fish and fruit. A resident nutritionist discussed about nutrition, the importance of balanced eating, recall the go, glow and go food. I am unable to take photos because we are busy cleaning our dirty hands. Little chefs are back in the mini-kitchen to make yummy foods using Gardenia bread and pastries. 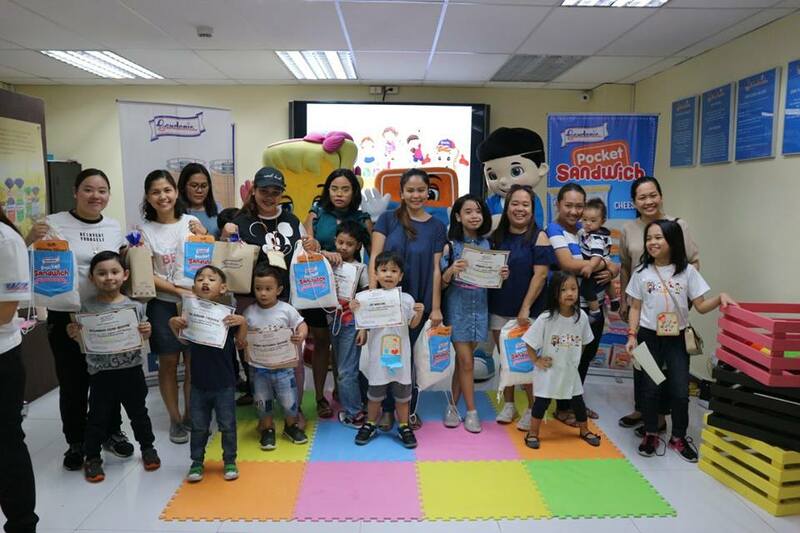 Lead by Chef Patrice, mommies and kids made Toasties Polvoron, Ham and Cheese Pinwheel and Twiggies Cake Pops. I'll share to you the recipe on a separate blog post, click here. Let me share some photos of my little chef. Before we end our tour, kids were given certificate of participation to the Ultimate Bread Journey of Gardenia. Not only we went home with new learning but we take home bag of goodies as well. Yey! Thank you Gardenia. 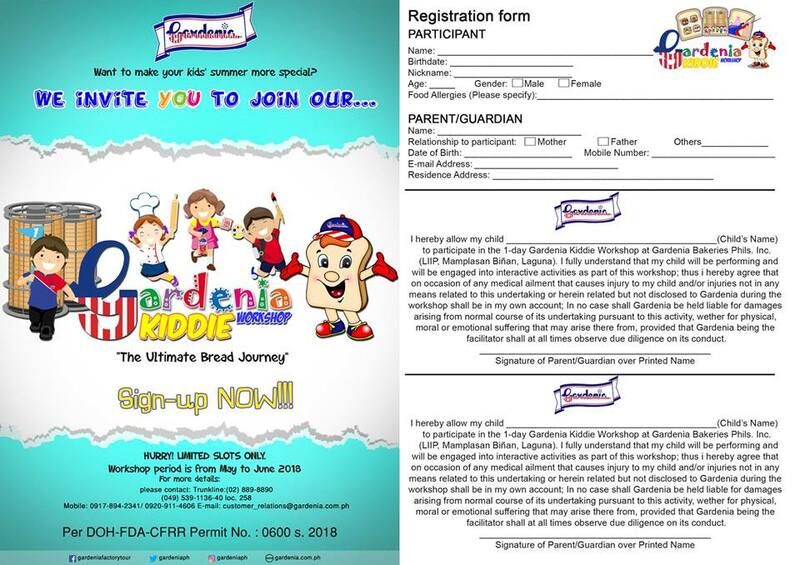 or download the photo below and send it back to Gardenia via email or private message. Interested participants must bring one empty packaging of each of the following: (any variants/flavor would do) 1 each of Gardenia loaves, buns, creamroll, pocket sandwich, twiggies , together with the accomplished booking form and any ID that indicates the kid's date of birth. This is open from May until June. So grab the opportunity now and sign up! I hoped you liked this post and thank you for dropping by!